This site gives a short overview of our Counter-IED tools. Those hydraulic tools are designed for the toughes tasks in any environment. Our components like slew drives, rotary feedthroughs and hydraulic cylinders are in-house made to provide the highest quality for tasks from -42°C to +60°C. Every tool is available for a machine operating weight from 1 to 100 tons. The BURDE-Gripperbucket is a field proven hydraulic tool for digging, grabbing and infinity rotation without tool changing. It is the most versatile hydraulic tool for excavators in the world. 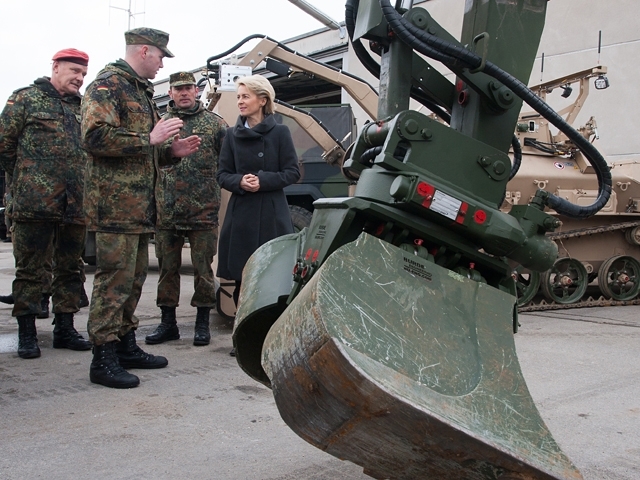 The German Bundeswehr uses this tool with a Counter-IED Machine in Afghanistan since 2011. Also Pearson Engineering Ltd. trusts the BURDE-Gripperbucket used with the Pearson Counter-IED Machine PEROCC since 2013. Rely on German, field proven Engineering. Also please see the video section with our Gripperbucket in action. 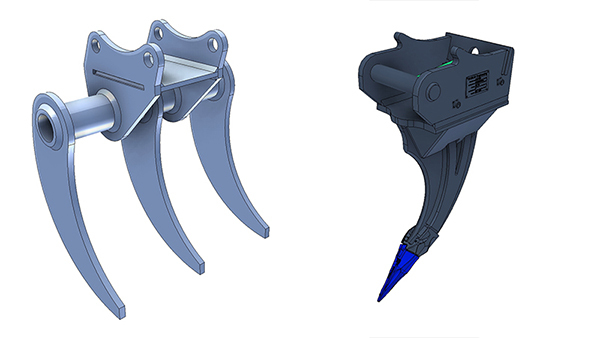 Our robust Sorting Grabs combine high closing force with a precise manipulation ability. 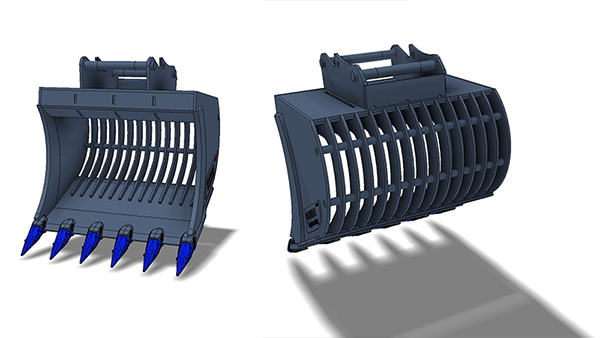 The jaws are designed for sieving material, so the IED can be very easily uncovered. 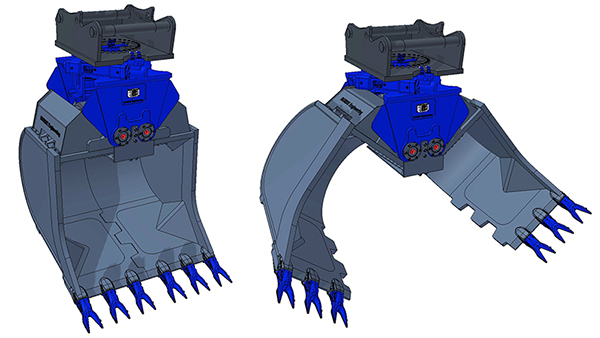 Beside the jaw variant with ribs, also a partly closed, a perforated or full closed variant is available. The most low-price tool for Counter-IED application is our Sieving Bucket. 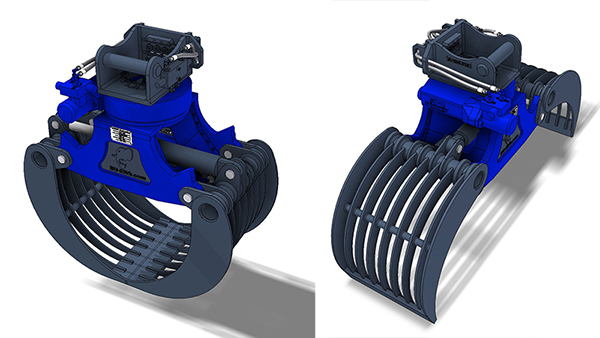 It can be used like a normal bucket and with it`s sieving back it can sort objects out of common soils. A Counter-IED tool just for analysing a suspicious location is for example our Ripper Tooth. This robust and low-price tool can break and rake any common soil to uncover IEDs in the ground. Also variants with more than one tooth are available. German Counter IED Tools: the right tool for the right task and budget!